Welcome to the Legal Aid Society of Nassau County! Our office is committed to advancing equal justice by working tirelessly in the courtroom on behalf of our clients to ensure that they receive fair treatment under the law. The mission of the Legal Aid Society of Nassau County is to provide high quality legal representation to those individuals facing criminal prosecution who cannot afford to retain an attorney. Similarly, we provide parental representation in Nassau County Family Court for litigants who are unable to afford counsel in child custody/visitation, child support, neglect, paternity and family offense proceedings. Our staff of specialized attorneys, social workers, investigators, paralegals and administrative personnel are expertly trained in their respective areas of practice and deliver excellent representation to our clients. 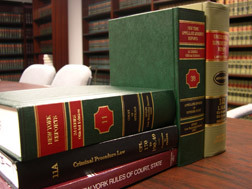 Our clients receive the services required to defend their criminal case, including the assistance of investigators to track down witnesses and recover evidence, social workers who work tirelessly to secure suitable services, counseling and treatment to mitigate the severe consequences of a criminal prosecution, and excellent attorneys trained to analyze the facts and legal issues in a case, negotiate an appropriate resolution or represent the client at trial. Individuals who are arrested for criminal offenses face many obstacles including but not limited to loss of their freedom, loss of employment, forfeiture of property, eviction from housing, deportation and loss of licenses. While we are not authorized to provide direct representation with respect to many collateral matters, our office will direct our clients to the applicable agency(s) or to the relevant resources to assist the client in resolving such issues. For answers to common questions about what types of legal work we do, please click here.